Install plugin and open plugin configure page. 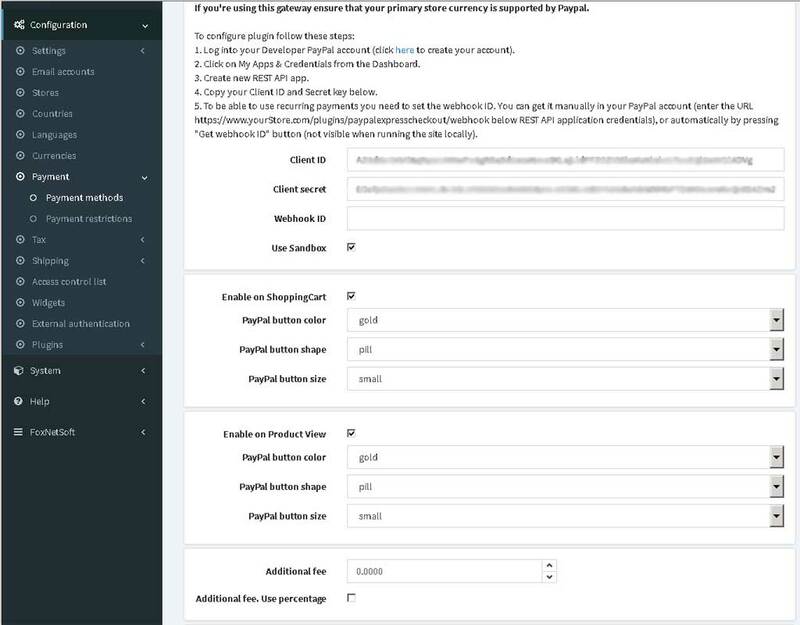 Configure plugin using your PayPal credentials. 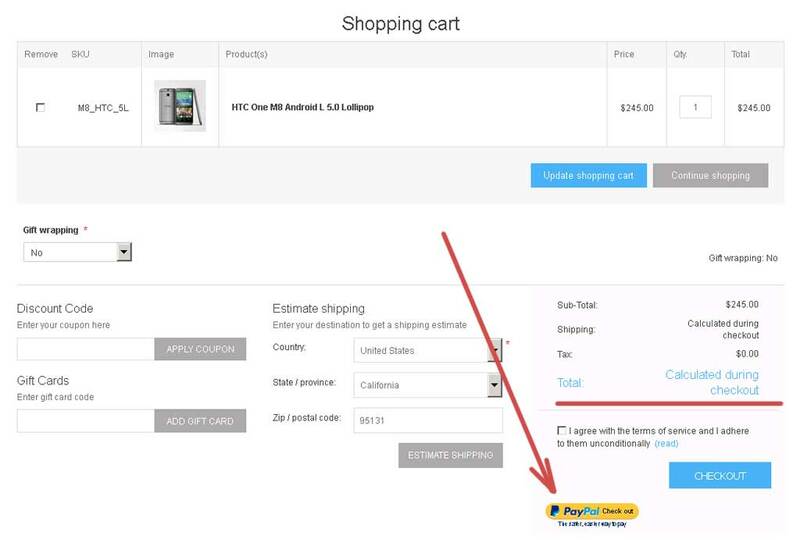 You can enable "PayPal Express Checkout" on Shopping Cart page and Product View page. 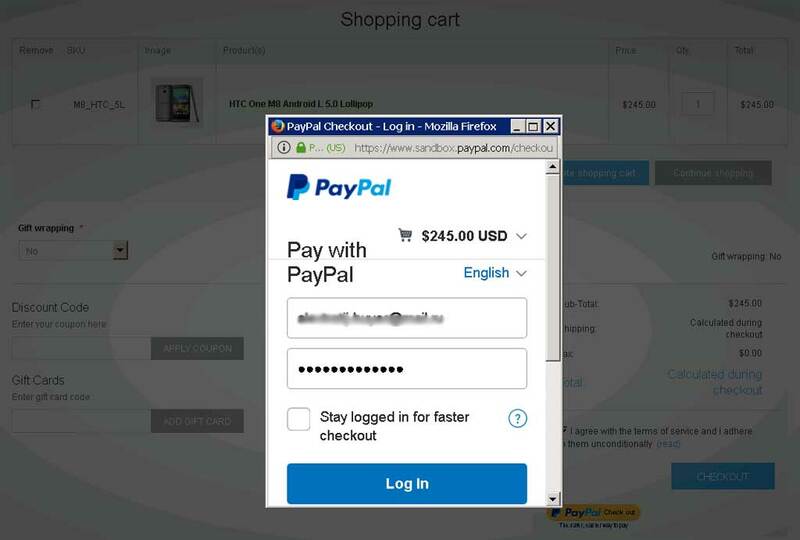 When you press the button you will see new PayPal popup window. Customer can press the button without any registration. Plugin doesn't send any shipping address to PayPal. 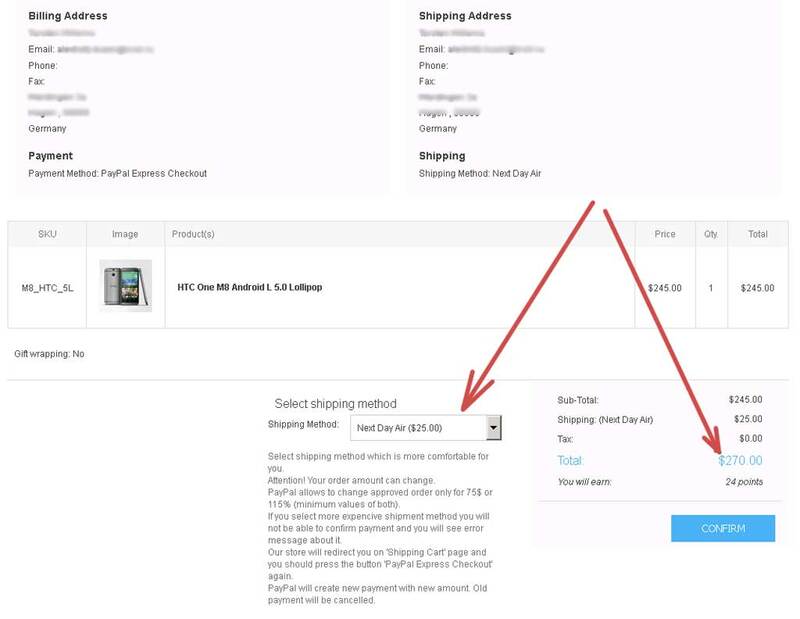 On PayPal site customer will select shipment address and approve payment. 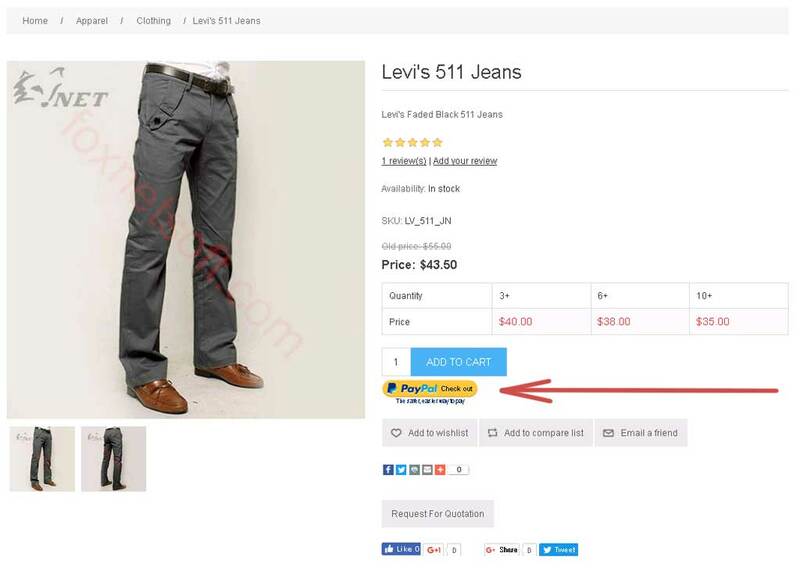 After it customer will be redirected on 'Confirm' page. 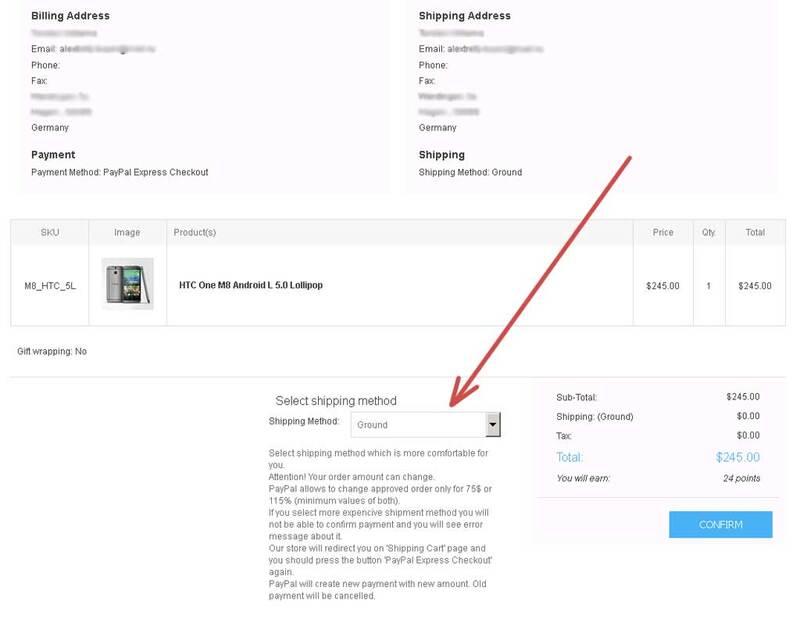 Customer can change shipment method on 'Confirm' page and amount of the order will be changed. When customer confirms the order PayPal executes paymetn with new amount. But if the order was changed more than 75$ or 115% PayPal would not allows this payment and customer will be redirected on Shopping Cart page again. Plugin will use your saved ShippingOption.